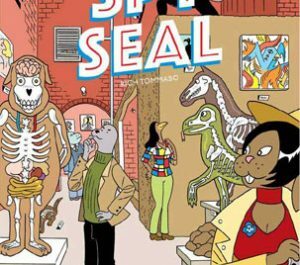 Somehow we missed the book Catstronauts: Mission Moon, written and illustrated by Drew Brockington. 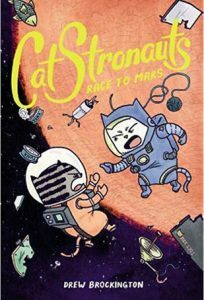 But now he’s back with a brand new hardcover graphic novel for young readers called Catstronauts: Race to Mars. “Fresh off of their heroic mission to save the world, the CatStronauts — Major Meowser, Pom Pom, Blanket and Waffles — are taking a well deserved victory lap. Parades and fancy awards dinners are the new norm! But around the world, other cat space programs are watching–in particular the CosmoCats, the first cats to go to space! With national pride and scientific research on the line, the world’s space programs rush to be the first cats to Mars, and the CatStronauts are starting months behind! Can they catch up and prove their first mission was no fluke?” It’s available now in full color from Little, Brown Books. Came across this new game at San Diego Comic Con. It’s called Rivals of Aether, and it was created by Dan Fornace. 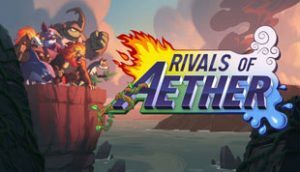 From the official web site, here’s what they say: “Rivals of Aether is an indie fighting game set in a world where warring civilizations summon the power of Fire, Water, Air, and Earth. Choose a Rival to bring into the battlefield and manipulate the powers of the classical elements and animal movement. Untangle the mysterious conflicts of the planet Aether in Story Mode or take your combat skills online and challenge your friends across the world.” The site also includes an animated preview video. The game is available now through Steam for various platforms. As you may have heard, a couple years ago Berke Breathed once again fired up his seminal comic strip Bloom County. 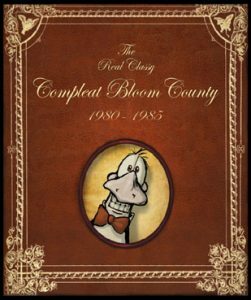 Well for those among us who remember the first go-round, IDW has brought together a special box set called Bloom County: Real, Classy, & Compleat, 1980-1989. Here’s the press release: “Presenting every Bloom County daily and Sunday strip in chronological order from the first to the last! Bloom County debuted in late 1980 and ran until August 1989. Featuring an exceedingly quirky cast of characters, including the sweetly naive Opus the penguin, the flea-bitten Bill the cat, womanizing attorney Steve Dallas, Milo Bloom, Cutter John, and many others, Bloom County soon became one of the most popular comic strips in history, appearing in over 1200 newspapers. 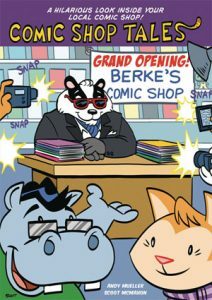 Then, at the peak of its popularity, Berkeley Breathed did something unprecedented… he walked away. 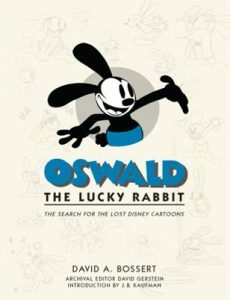 Now, more than 25 years later, the complete collection of the Pulitzer Prize-winning comic strip is collected into a deluxe, two-volume box set.” It’s available now at your local comic book store. It’s a Bird! It’s A Plane! No, it’s a Corgi. Things take a furry turn once again over at Vertigo’s Astro City comic. (Remember that gorilla drummer?) This time, it’s canine costumed crusader. 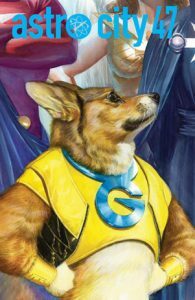 From Previews: “Meet G-Dog, possibly Astro City’s most unusual superhero ever. Half man, half dog – but who’s running the show? The answers will change a life, reveal another hero’s deepest secrets, and possibly, just possibly, save the world. Oh, who are we kidding… they’ll definitely change the world. Do you see that handsome face?” Issue #47 hits the shelves in early September. 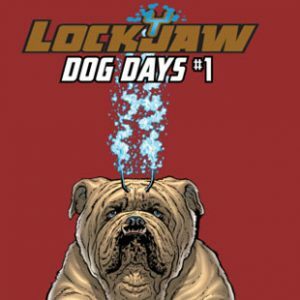 We got this from Marvel Comics themselves: “They say every dog has his day — and this is Lockjaw’s! The Inhumans’ prodigious pooch takes the lead, teleporting into amazing adventures! When the Avengers and Inhumans come to blows, Lockjaw shows he has a nose for danger! With Attilan in turmoil around him, the colossal canine has his own agenda in an all-time classic tale that could only be named ‘Woof!’ What a revoltin’ development for the Thing when he spends the day babysitting and dog-walking — with Lockjaw on the end of the leash, it’s slobberin’ time! Plus: The humongous hound helps the homeless, has the Inhumans in dogged pursuit, and goes digging for his Original Sin!” Collecting together previous adventures of Lochjaw by a variety of artists and writers, the Lockjaw: Dog Days full-color one-shot is available now. From the it’s about hoofin’ TIME department: Ninja Division has developed and published the first official role-playing game (RPG) based on My Little Pony: Friendship Is Magic. (Several fans have previously created unofficial My Little Pony mods for existing generic RPG systems, of course.) My Little Pony: Tales Of Equestria is described as “…a storytelling pen and paper game for 2 to 6 players. Players create and role-play as pony heroes who explore and seek adventure in the various lands of Equestria. Guided by a Game Master (GM), players adventure together and use the magic of friendship to overcome obstacles as they learn more about each other and the world around them. With a full-color, hardback, 152-page rule book outlining character creation, scenarios, and play, Tails of Equestria brings My Little Pony to life for all who love the magic-filled world of Equestria. Using the rulebook, players are encouraged to create their own pony that represents them. Armed with core skills and special abilities, each player then ventures into the world with their pony peers, forging deeper friendships as they help one another in the whimsical world they create through every action they take.” The core rule book is available now on Amazon.